Complete list of all the names mentioned in the Hornblower books ! Entirely fresh source for ‘African Queen’ ! The Annie Marble books are available! I am writing to let you know of an experience I shared with C.S. Forester in 1964. I served for many years as an Engineer Officer in the Merchant Navy. On some voyages from London to the west coast of the United States I worked on M.V “Loch Loyal”, a ship owned by Royal Mail Lines. This was a cargo vessel but could also accommodate up to twelve paying passengers. 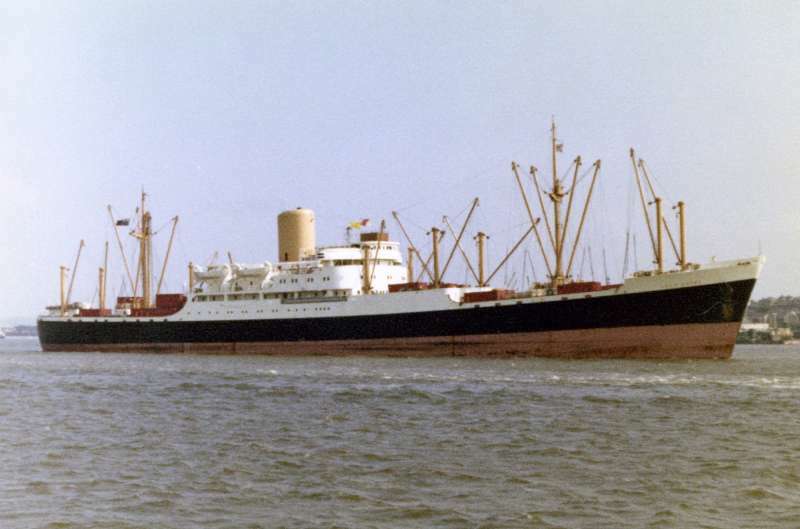 During one trip, leaving from the Royal Victoria Docks in London on the 12th of February 1964, we had on board as a passenger Mr Forester who was accompanied by a male nurse/carer. On this particular voyage I was the Senior Second Engineer Officer on the ship. Having passed through the Panama Canal and heading north off the coast of Southern California, on the 8th of March 1964, the ship suffered from an explosion in the engine room. As well as causing serious injury to the Chief Engineer the ship was immobilised due to major damage to the main engine. The vessel was adrift in the Pacific for many days whilst awaiting assistance from a tug which had to come from San Diego. Under tow to Los Angeles the engine room staff worked night and day to repair the damaged main engine and the ship was able to enter port under her own power. During his time on “Loch Loyal” Mr Forester regularly used the small swimming pool on the fore deck of the ship and I can recall quite clearly him enjoying being “tipped” into the pool from his wheelchair. I cannot remember if Mr Forester left the ship in Los Angeles or if he remained on board until our next port of San Francisco. On a subsequent visit to San Francisco Mr Forester got in touch with me to ask if one of his sons could visit the ship and be shown around the engine room. This was arranged but, again, I cannot remember which of his sons it was except that having described to him in “idiot fashion” how a marine diesel worked it transpired that he appeared to know more about diesel engines than I did ! I was on this ship as an engine room operative 1962. I think it was Capt Thomas who was the master. There was a problem on the return trip with the engine big end bearing that had to be fixed in rough weather. most of these ships carried most replacement parts. Those were the days. Tony Kennington. I did two trips on HMS Loch Loyal late 64 and early 65. I was the galley boy how missed the ship in Portland, spent 3days/nights in Portland County Jail was put on a plane and caught up with the ship in San Francisco. I got a DR on my first trip & deported from the USA, but fortunately for me the Brave Captain gave me another chance and was allowed to do another trip. I was 17 years old and we had a fabulous time. The only people I remember from my days on the Lock Loyal where Lola, Sid & Crystal. Once seen never forgotten.